As Sinclair was a founding member of the White Panther Party, a militant counterpart of the Black Panthers, he was on the radar of law enforcement, and the FBI secretly monitored the rally to see who made an appearance. 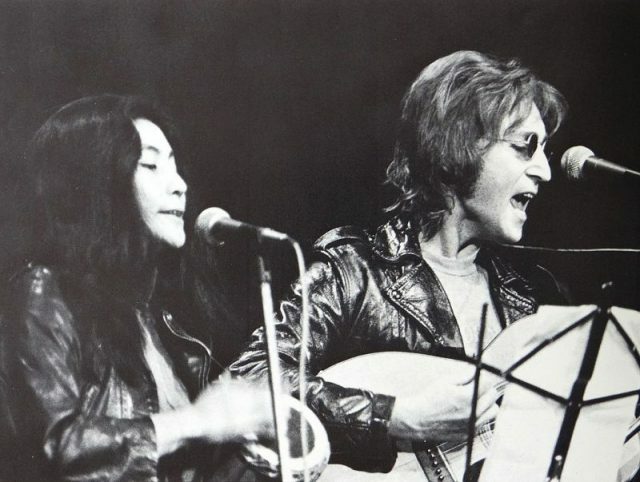 Yoko Ono and John Lennon at John Sinclair Freedom Rally in Ann Arbor, Michigan. The “Freedom Rally” turned into a veritable Greatest Hits of the radical movement. 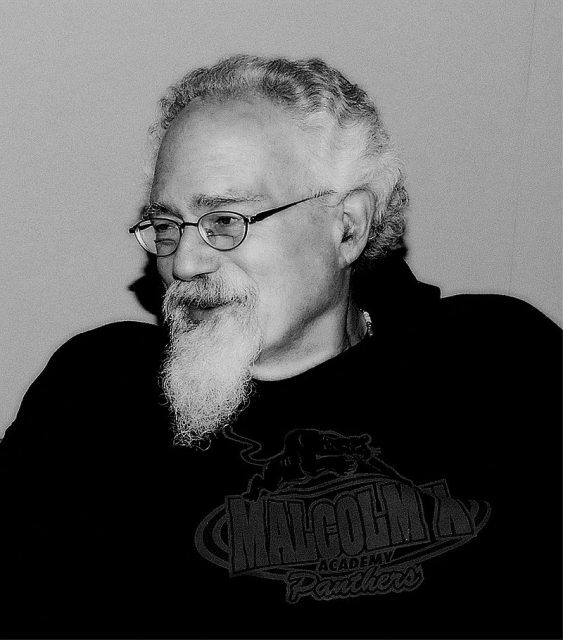 Speakers included Jerry Rubin, Bobby Seale, Allen Ginsberg, and Ed Sanders. As for the musicians, it might have seemed that the rally already drew pretty exciting talent: Stevie Wonder, Bob Seger, Phil Ochs, and more. But then one of the most famous couples in the world appeared: John Lennon and Yoko Ono. 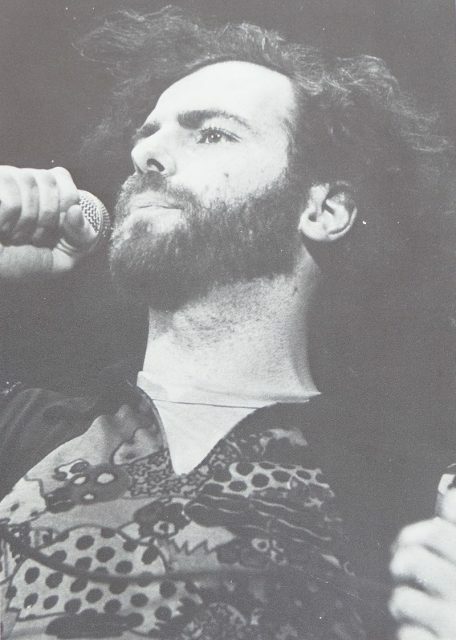 Jerry Rubin at the Freedom Rally. The New York Times reported, “John Lennon, the former Beatle, and his wife, Yoko Ono, flew in from New York and appeared for 10 minutes at about 3 a.m. when the arena was filled with a cloud of marijuana smoke coming from thousands of marijuana cigarettes that were passed from person to person. 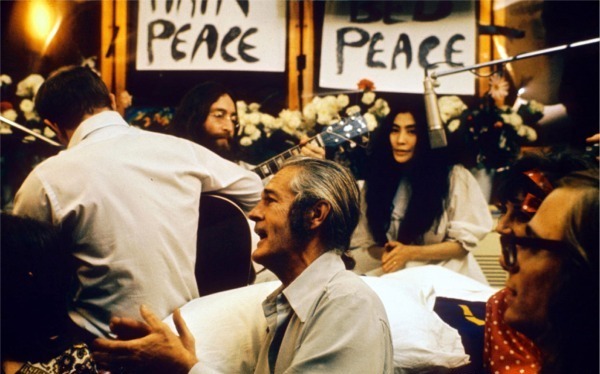 Sinclair was released from prison within days, but unknown to Lennon, the FBI took particular note of his remarks and singing. “This was essentially the beginning of the [American] government’s involvement in Lennon’s life,” wrote the website Ultimate Classic Rock. Not only did the FBI put Lennon under surveillance — that was just the beginning. There was a steady, aggressive effort to deport Lennon from the United States, an initiative that reportedly was approved of by President Richard Nixon. Over the next five years, the FBI gathered some 300 pages of information on John Lennon. 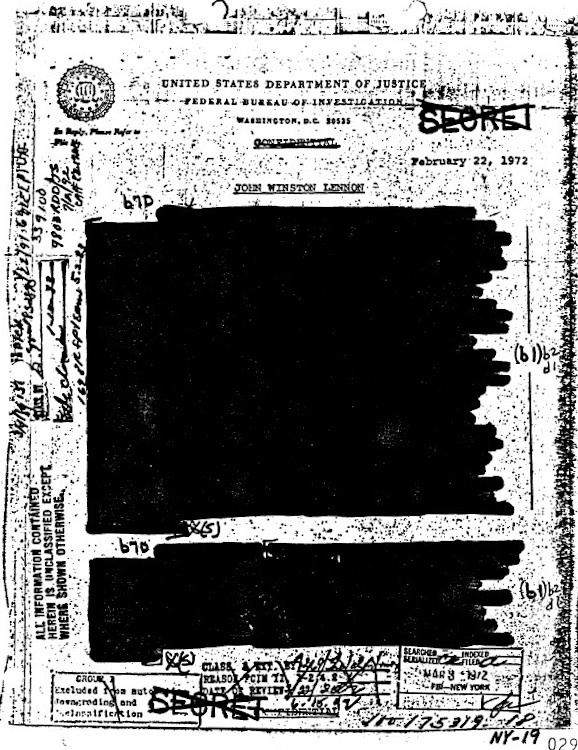 The FBI released heavily blacked out, or redacted, pages of the Lennon FBI file, including this one, initially in response to Jon Wiener’s Freedom of Information request. 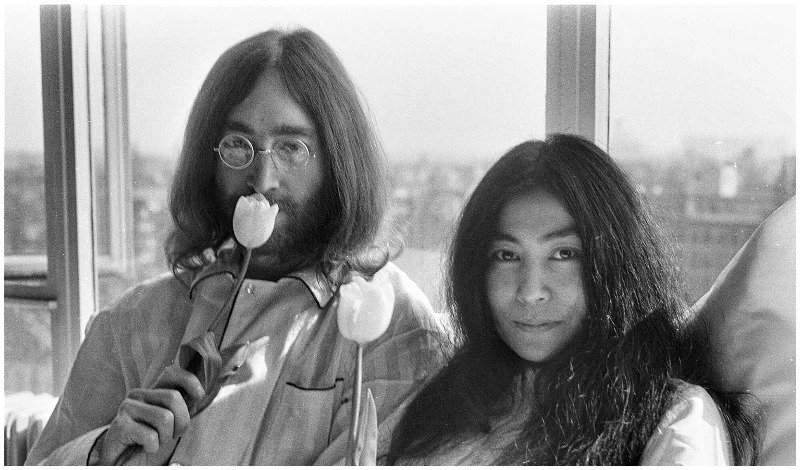 Yoko Ono, who was going through a custody dispute with her first husband, did not want to leave the U.S. And so Lennon struggled to remain in the country. 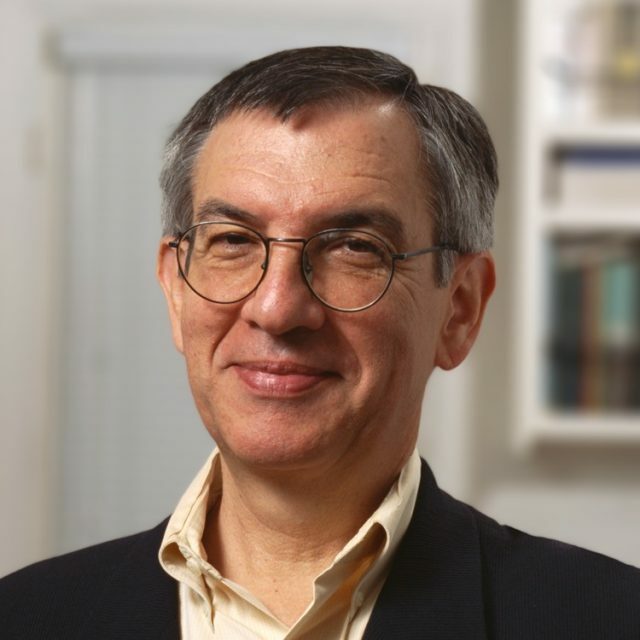 After Lennon was killed by Mark David Chapman in 1980, historian and university professor Jon Wiener spent 14 years fighting to get the FBI to release its files on Lennon under the Freedom of Information Act. Wiener hired ACLU lawyers and the team persevered, pro bono, in their effort to obtain those files. Wiener’s eventual book making use of what he obtained, Gimme Some Truth: The John Lennon FBI Files, reveals that President Richard Nixon was worried that Lennon could hurt his chances of re-election. A subsequent version was released which showed much of the previously blacked-out text. Lennon was actually quite interested in becoming part of such a youth group movement opposing the Vietnam War and trying to defeat Nixon. He and Rubin discussed organizing a tour intended to mobilize the vote that would follow the incumbent president’s campaign stops across the country, ending with a festival in Miami, where the Republican National Convention would take place. How to handle Lennon as a threat became a subject of letters going between J. Edgar Hoover and President Nixon. 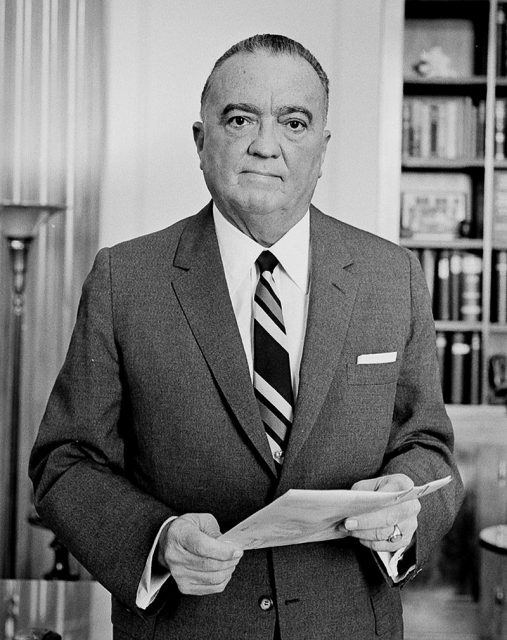 According to one report, FBI chief J. Edgar Hoover sent a memo to Nixon’s chief of staff describing Lennon as a sympathizer of Trotskyist communists in England. 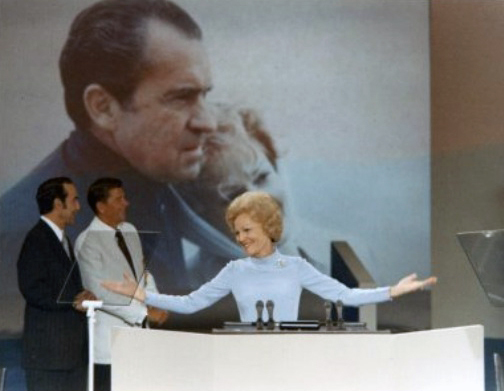 The Republican National Convention in August 1972; Nixon’s wife, Pat, addressed the crowd. Nixon was reelected in November 1972. The way they tried to neutralize John Lennon was to threaten him with deportation. On March 1, the Immigration and Naturalization Service delivered a letter to the Lennons requesting that they leave the country within two weeks or face deportation hearings. They used Lennon’s 1968 marijuana possession – a misdemeanor – as the reason for the deportation. 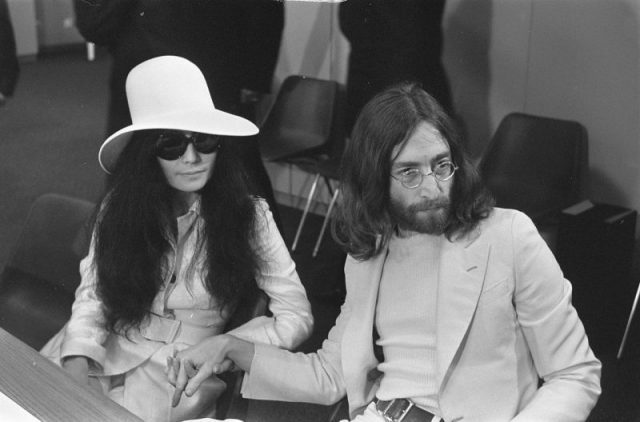 Wiener told NPR, “For much of 1972 and ’73, Lennon was under an order to leave the country within 60 days. 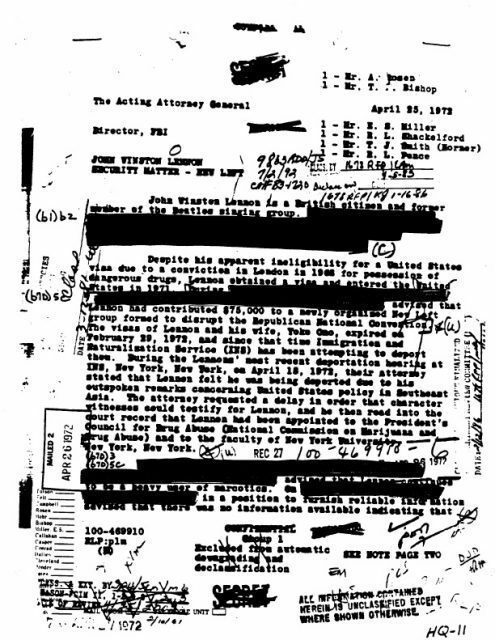 He had very talented legal help and they kept getting these deadlines extended.” Hoover died in May 1972, but hassling Lennon remained a priority. 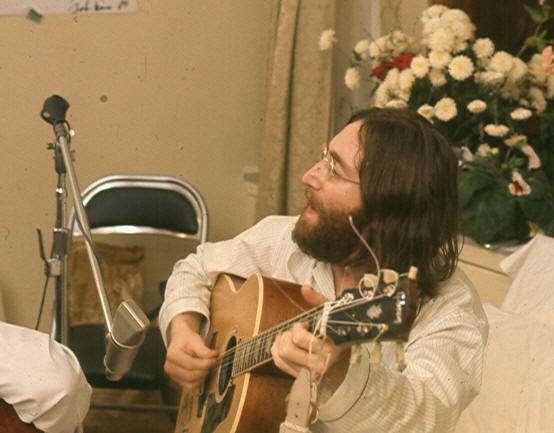 John and Yoko recording the song “Give Peace a Chance” in 1969. John Lennon received his green card eventually. But the FBI and government targeting under Nixon did succeed in one of its goals. Lennon decided to withdraw from Rubin’s plans to demonstrate against Nixon and work to get youths registered to vote because it was too dangerous to his fight to stay in the country. It was perhaps fortunate that Lennon pulled out. Because the FBI, through its surveillance, was thus aware that Lennon was no longer planning to be active against Nixon. One of the government’s previous plans was an ominous act — to have something waiting for Lennon in Miami should he have gone there during the Republican National Convention. After learning of his change in tactics, the FBI too changed its plans. 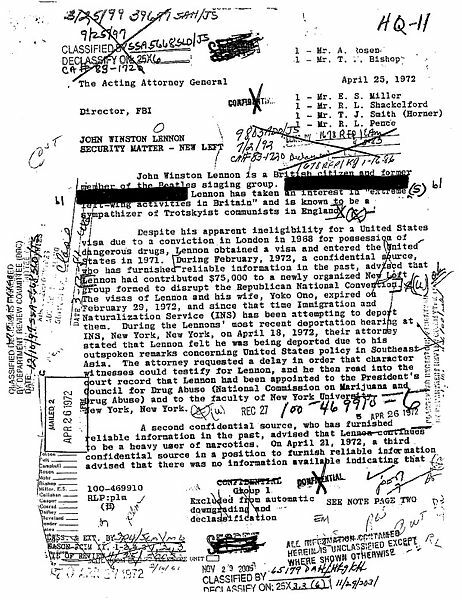 Was the FBI planning to set up Lennon in a drug bust? Through the Freedom of Information Act, the author was able to see a disturbing document. “There’s a memo from J. Edgar Hoover to the head of the Miami FBI office that suggests that if Lennon could be arrested on possession of narcotics charges he would become more immediately deportable,” said Wiener. Because Lennon did not go to Miami, nothing was done. Wiener received this less-heavily-blacked-out copy of the same file page after more than a decade of litigation by the ACLU of Southern California.